See the entire range on our Discover & Shop Page. 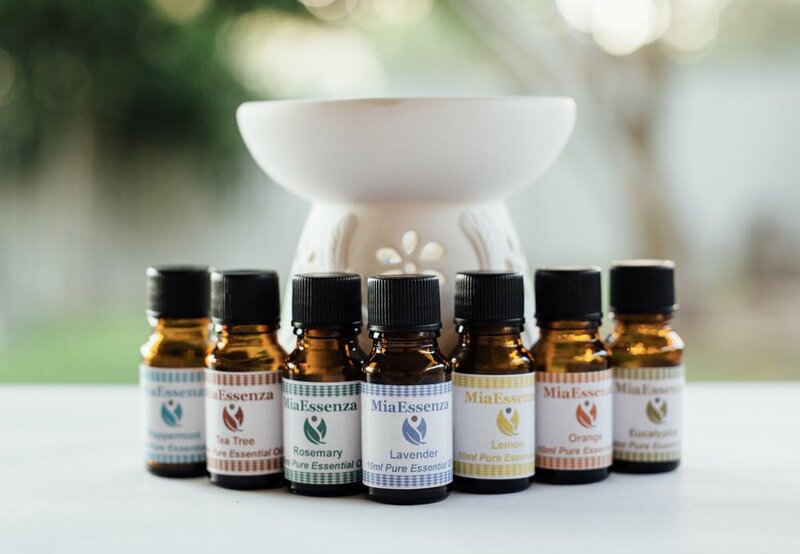 To learn more about the ingredients used in our range or to see the Properties & Benefits of the Essential Oils used in MiaEssenza products - see our "About our Oils" page. See our "Blog Page" for other interesting bits and pieces including recipes, uses for specific Oils and general info. I invite you to try MiaEssenza by shopping online or hosting a party - Find retail stockists and Market Events here on my website or contact me with any queries you have.